So, what do you think? Of course, I couldn’t stop there. The little egg looked so lonely, so I added a second one. 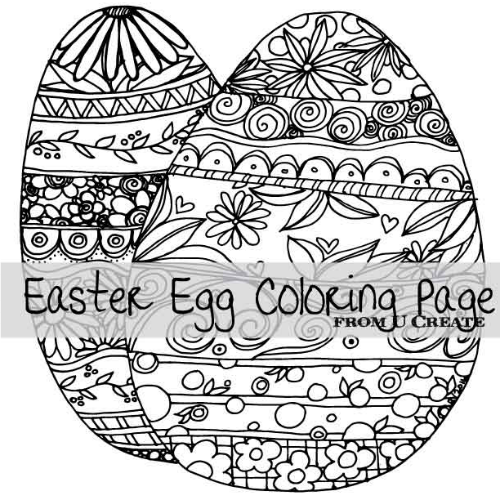 Then created this fun “Happy Easter” coloring page for you. The link to download it is at the end of this post. With my favorite PrismaColor Watercolor Pencils, my amazing cousin colored hers while we chatted at the table one night. It was funny to see her agonize over which colors to use (hehehe), but remember you don’t need to be an artist to color, just use the childlike inhibition you once had and COLOR! 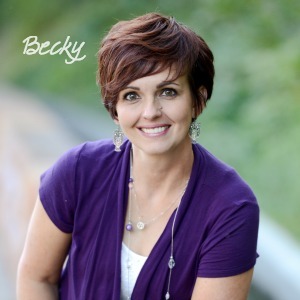 It’s about the relaxing and fun, not the perfect lines or color choices. So…ENJOY! Now, for those who want these Easter Eggs ready-to-frame, I have made one available for you to download and print. (The link is at the end of this post) I bough a little 4×6 bright colored frame at Walmart for $2, printed out the design and threw it in the frame. 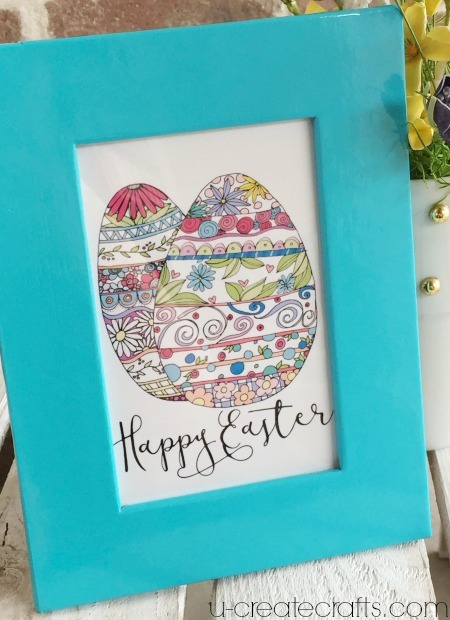 It’s perfect for your desk, or give it as a little Easter gift. 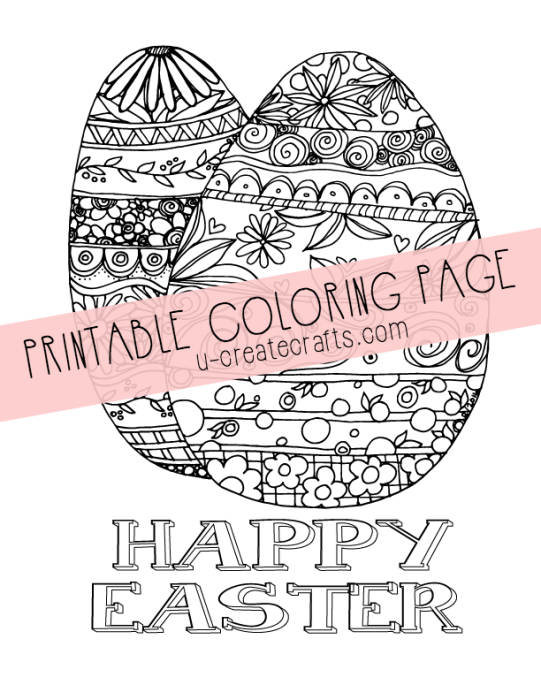 As promised, below are the links to download the coloring page or the ready-to-frame printable. 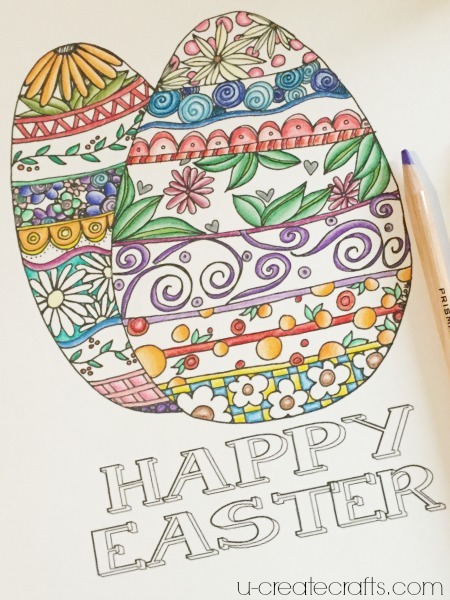 We want to see your coloring pages! 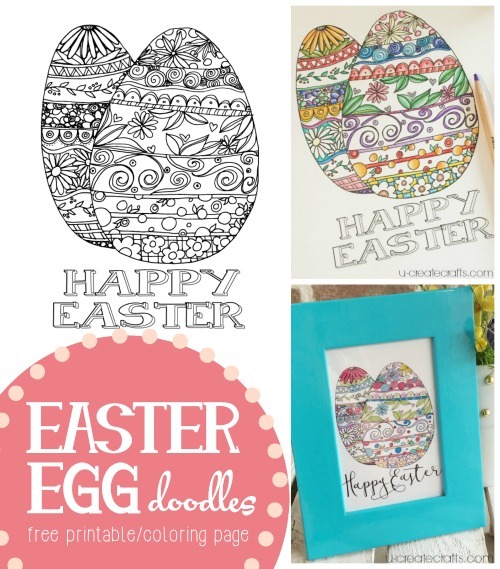 Please share your finished Easter Egg coloring page with us on Facebook or tag us on Instagram (@ucreateblog).